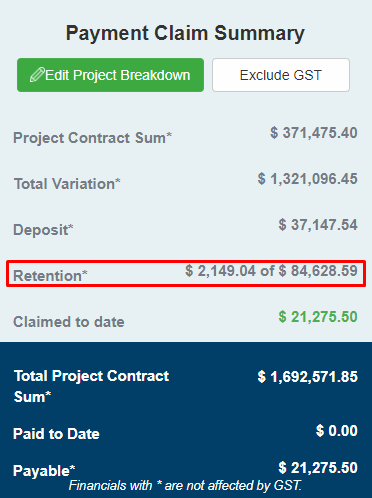 Retention is a percentage of the total amount due withheld by the client in every progress claim until the contractor completes all the work required of him under a contract. The latest update gives you the flexibility to change the Retention Amount for your current claim and allows you to claim retention amounts within the Payment Claim System. 1. 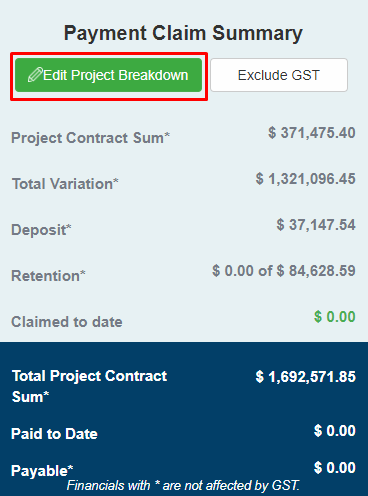 Go to your project then enter the Payment Claim System by clicking the Create button on the PCS tile. 2. If you haven’t created your Project Breakdown yet, then you can enable retention under the Retention tab. 3. Enable Retention and fill out all the required fields. 4. Once you’re done creating your project breakdown and filling out the fields under the Retention tab, click Save. 5. After saving, you will be directed to the PCS Dashboard where you can see on the Retention row of the Engineers’ Table the Total Amount you’ve retained to date over your Maximum Retention. 6. If you have already created your Project Breakdown, then click on the Edit Project Breakdown button on the Engineers' Table and go to the Retention tab. 7. Under the Retention tab, change the status of your retention. NOTE: Once you have already started making progress claims you won’t be able to change the retention status unless you withdraw all your existing payment claims. 8. 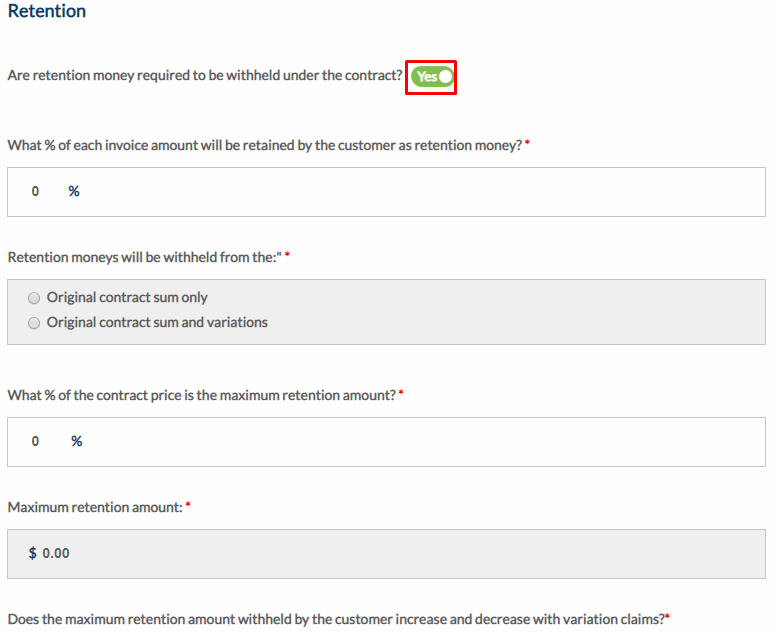 In creating progress claims, your Retention Amounts are set out by default under the Retentions to be Claimed table depending on the percentage and rules you set for your retentions. 9. 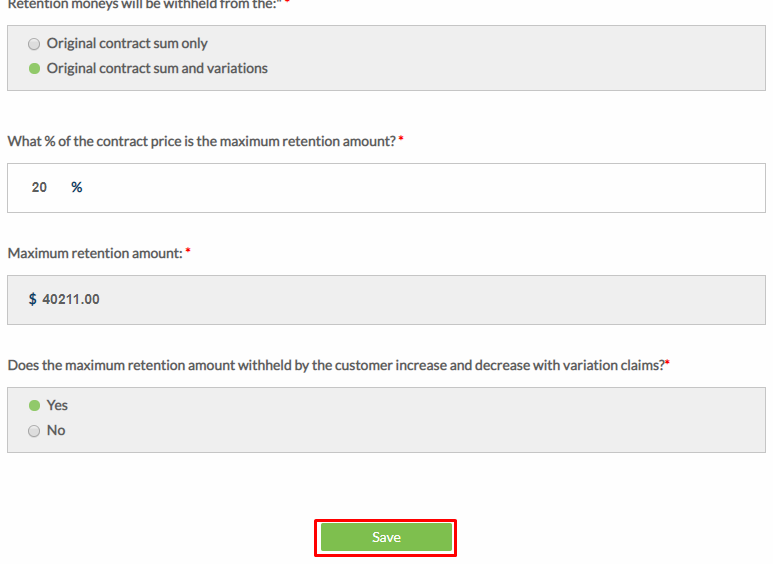 Modify your retention for your current claim anytime by simply editing the amount directly on the table. NOTE: You cannot modify Retention Amounts for your previous claims. a. Claimed Breakdown - Scroll down the PCS Form and click on the View Breakdown button on the Summary table. b. Payment Claim Template: Attachment 2 - Submit your claim and you will find Attachment 2 on the Payment Claim template. c. Payment Claim Template: Tax Invoice Table - Submit your claim and find the Tax Invoice on the last page of the Payment Claim template. 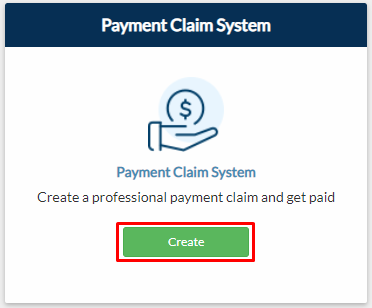 d. Payment Claim Tiles - Submit your claim and you will be directed to the PCS Dashboard. e. Engineers’ Table - You will find this table on the right of the PCS Dashboard page. Go to the Retentions Claimed table in the Payment Claim form and set the percentage of your Total Retention Amount that you want to claim. Click Submit and you're done! 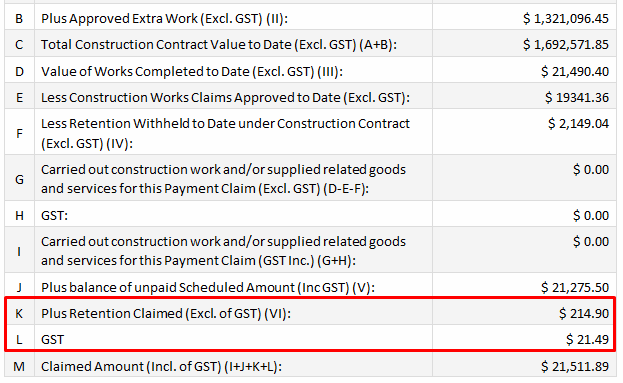 Row L displays the GST or your Retention Claim. b. 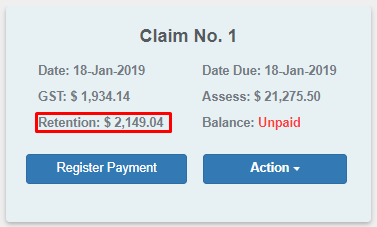 Payment Claim Template: Summary Table - Submit your claim and you will find the table on the first page of the Payment Claim template. c. Payment Claim Template: Retentions Claimed Table - Submit your claim and you will find the table under Attachment 3 of the Payment Claim template. 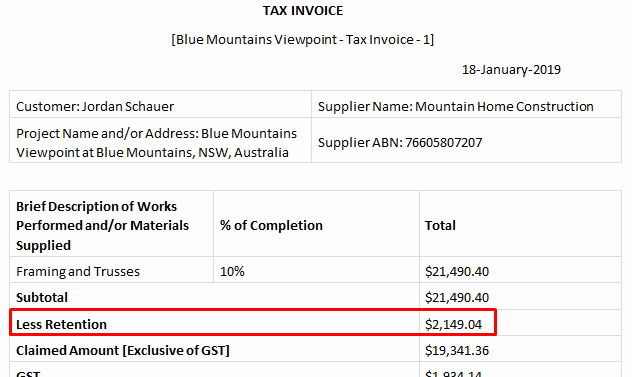 d. Payment Claim Template: Tax Invoice Table - Submit your claim and you will find the Tax Invoice on the last page of the Payment Claim template. 3. 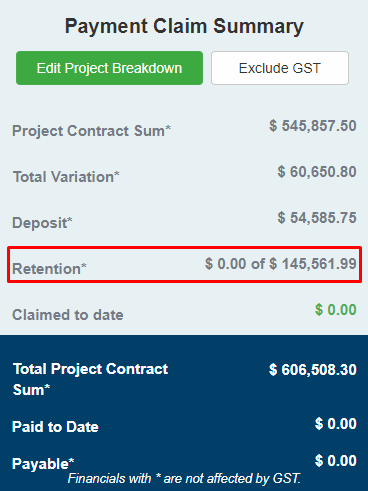 View the retention summary of your projects in the Retention Report.